Asbestos awareness is an important part of construction safety training for all kinds of workers. Employees in the construction industry are particularly affected by products and building structures containing asbestos, and it’s important for employees to know the risks of handling asbestos and how to protect themselves with comprehensive asbestos awareness training. Employers are required to provide OSHA asbestos awareness training for all their employees. CertifyMe.net, the leader in OSHA certification and online learning, offers an easy-to-follow, comprehensive asbestos awareness training module to help anyone become OSHA compliant. Just like our popular forklift training modules, our asbestos training certification occurs in a convenient online format, which you or your employer can customize to fit your needs! With our asbestos certification training online, your employees can access OSHA compliant content anytime, anywhere! What is asbestos, and how does asbestos awareness training benefit you and your company? Let’s take a look! Asbestos is a group of naturally occurring minerals that are durable, flexible, and resistant to chemicals, heat, and electricity. Asbestos is often found in pipes, floor tiles, cement pipes and sheets, shingles, roofing felts, ceiling tiles, drywall, and for spray-on fireproofing. When inhaled or ingested, asbestos fibers can embed themselves in respiratory or digestive tissues, potentially leading to disability, asbestosis, gastrointestinal cancer, lung cancer and mesothelioma. 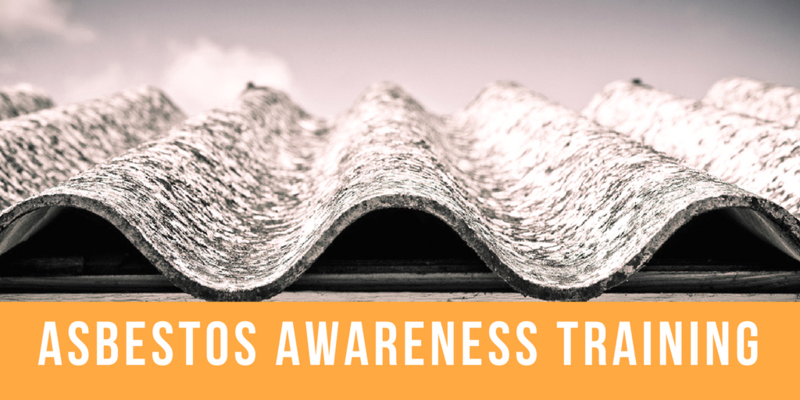 For workers regularly exposed to asbestos, symptoms may not appear for decades, and it’s crucial that they receive asbestos training. Simply put, asbestos is serious stuff. Numerous lawsuits have been filed related to asbestos-related workplace violations. OSHA considers asbestos one of the most important hazards to train for, and CertifyMe.net has the OSHA asbestos awareness training your employees need to become compliant. An asbestos certification shows employees the risks of working with asbestos and how to protect themselves against exposure. • Class I includes the most dangerous types of asbestos work. It involves the removal of asbestos-containing thermal system insulation and sprayed-on or troweled-on surface materials. Class I asbestos jobs involve close proximity to this dangerous material. Therefore, any job involved on a Class I level with asbestos requires the most up to date training available. CertifyMe.net has the training you need to stay safe while working Class I asbestos jobs. • Class II asbestos work involves the removal of asbestos-containing flooring, ceiling tiles, siding, roofing, or transite panels, and not thermal system insulation. This work is usually done for construction or cleanup dutes. • Class III involves repair and maintenance where asbestos-containing materials (ACM) or presumed ACM are disturbed. • Class IV work includes the custodial clean up of asbestos-containing waste and debris from construction, maintenance, or repair work. It involves cleaning contaminated surfaces and carpets, and asbestos-containing materials from thermal system insulation or surfaces. Remember, Class I asbestos jobs involve the most dangerous type of work in this field. Regardless of your type of job with asbestos, it’s always a great idea to know the latest safety standards, which are established and enforced by OSHA. With OSHA asbestos awareness training from CertifyMe.net, you’ll have a solid foundation of knowledge – and job-ready skill set – to handle any task. The MARCOM interactive asbestos awareness course online offered at CertifyMe.net teaches employees about the hazards of working with asbestos-containing materials, meeting the requirements for Class IV maintenance staff and custodians who come into contact with ACM, like ceiling tiles, vinyl flooring, and insulation, on a daily basis. With our OSHA asbestos awareness training, all of your employees will have the basic building blocks in how to deal with this material, along with a few advanced safety concepts. For comprehensive asbestos awareness training, nobody beats CertifyMe.net! Our asbestos certification training is just one of our online courses, and it an ideal complimentary training course to our forklift safety training classes. Any Class IV employee in the country qualifies for the asbestos awareness certificate with CertifyMe.net, and we’ve made the asbestos awareness training online as cost-effective, easy to use and interactive as possible to ensure employees understand and retain the information. Contact CertifyMe.net today at 888-699-4800 if you have any questions about the asbestos awareness training, or if you’re ready to sign up and build a safe and healthy workplace with OSHA-compliant asbestos training courses. Your employees can complete their asbestos certification training online in no time at all – at a very affordable rate! Thanks for considering CertifyMe.net for all of your asbestos training requirements.